President Donald Trump is considering recognizing Jerusalem as Israel’s capital, a highly charged declaration that risks inflaming tensions across the Middle East, officials said Thursday. 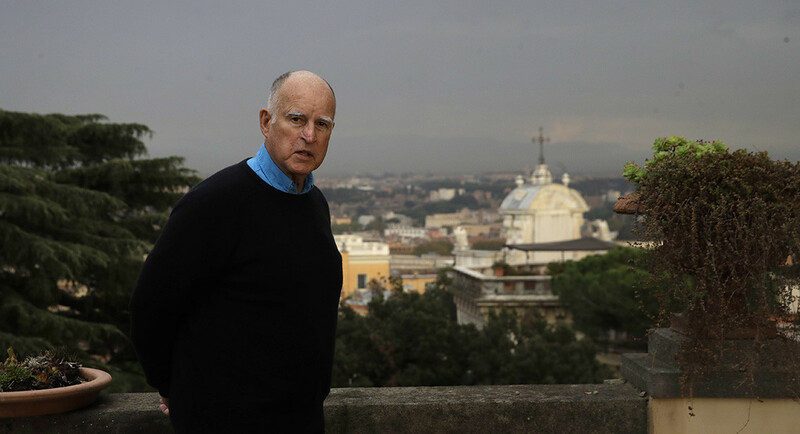 The announcement would be a way to offset a likely decision delaying his campaign promise to move the U.S. Embassy to the holy city from Tel Aviv. Trump’s announcement is expected next week and follows months of internal deliberations that grew particularly intense in recent days, according to officials familiar with the talks. They described the president as intent on fulfilling his pledge to move the embassy but also mindful that doing so could set back his aim of forging a long-elusive peace agreement between Israel and the Palestinians, who claim part of Jerusalem as the capital of an eventual state. The officials, who weren’t authorized to publicly discuss the matter and spoke on condition of anonymity, said the outlines of Trump’s plan emerged from a meeting of his top national security advisers at the White House on Monday. Trump himself was expected to drop by the meeting for 15 or 20 minutes. He ended up staying for at least an hour and grew increasingly animated during the session, according to two officials briefed on what happened. Trump is likely to issue a waiver on moving the embassy by Monday, officials said, though they cautioned that the president could always decide otherwise. The White House also is considering a possible presidential speech or statement on Jerusalem by Wednesday, according to the officials and an outside administration adviser. Another possibility involves Vice President Mike Pence, who is set to travel to Israel in mid-December, making the Jerusalem announcement during his trip, one official said. Pence said Tuesday that Trump is “actively considering when and how” to move the embassy. The Trump administration insisted the president hasn’t made any decisions on the embassy. “No decision on this matter has been made yet,” State Department spokeswoman Heather Nauert said Thursday. Moving the embassy is a step that could spark widespread protest across the Middle East and undermine an Arab-Israeli peace push led by president’s son-in-law, Jared Kushner. Trump’s campaign season promises won him the support of powerful pro-Israel voices in the Republican Party. But as president, he has faced equally forceful lobbying from close U.S. allies such as King Abdullah II of Jordan, who have impressed on him the dangers in abandoning America’s carefully balanced position on the holy city. Under U.S. law signed by President Bill Clinton in 1995, the U.S. must relocate its embassy from Tel Aviv to Jerusalem unless the president waives the requirement on national security grounds, something required every six months. If the waiver isn’t signed and the embassy doesn’t move, the State Department would lose half its funding for its facilities and their security around the world. Republicans have championed embassy security since a 2012 attack on American compounds in Benghazi, Libya. All presidents since Clinton have issued the waiver, saying Jerusalem’s status is a matter for Israelis and Palestinians to negotiate. Trump signed the waiver at the last deadline in June, but the White House made clear he still intended to move the embassy. Trump’s approach appears to thread a fine needle, much like he did with the Iran nuclear deal. After vowing to pull out, Trump in October decertified the agreement as no longer serving America’s national interests. But he didn’t announce new sanctions or take any other step to immediately revoke the accord. At Monday’s White House meeting, Defense Secretary James Mattis and Secretary of State Rex Tillerson made the case that moving the embassy in Israel would pose a grave danger to American diplomats and troops stationed in the Middle East and Muslim nations, the U.S. officials said. King Abdullah II, who met Pence and Tillerson this week in Washington, made the same argument, telling the vice president and others that any change to the embassy in the absence of an Israeli-Palestinian peace deal would create unrest and instability throughout the region and drive up anti-American sentiment, according to the officials. After a lengthy back and forth at the White House meeting, Trump and his inner circle appeared to accept those concerns but insisted that the president had to demonstrate his stated commitment to move the embassy, the officials said. The discussion then turned toward waiving the embassy move for another six months but combining it with recognition of Jerusalem as Israel’s eternal capital, which the Israelis have long sought. The State Department recently advised American diplomatic posts in predominantly Muslim nations that an announcement about the embassy and Jerusalem’s status is possible next week, and advised them to be vigilant about possible protests, officials said. Inside the Trump administration, officials said debate now centers on how to make a Jerusalem announcement without affecting Israeli-Palestinian “final status” negotiations. One option under consideration is to include in any such statement a nod to Palestinian aspirations for their capital to be in east Jerusalem. The U.S. also faces legal constraints. Recognizing Jerusalem as Israel’s capital without a peace deal could run afoul of U.N. Security Council resolutions that don’t recognize Israeli sovereignty over the city. Washington has a veto on the council and could block any effort to declare the U.S. in violation, but any such vote risks being an embarrassment and driving a wedge between the United States and many of its closest allies. Bot or not ... senators show a social media post for a supposed 'Miners for Trump' rally. Lawyers from top tech companies were recently asked about the role their firms played in the 2016 United States presidential election, during three Congress hearings. Propaganda, disinformation and misinformation messages on Facebook and Instagram reached approximately 146 million American citizens – almost half the population – Facebook revealed in a prepared testimony. Twitter accounts linked to Russia "generated approximately 1.4 million automated, election-related tweets, which collectively received approximately 288 million impressions" between September 1 to November 15 2016, according to company executives. These revelations echo my own research during November 2016. The then Republican candidate Donald Trump’s Instagram account was amassing a good deal of followers, but significant tranches of them were bots and Russians – even if there was no clear evidence of direct involvement by the Russian government. These figures give rise to many urgent questions, such as whether these social media activities influenced the outcome of the election. In a wider context, consider how the use of social media tools has changed since their inception. The same media that gained traction by promoting freedom and democracy around the world – during the 2011 Arab Spring, for example – now seem ideal tools to manipulate opinions and spread hatred, confusion and disarray. Public perception of social media has shifted accordingly in recent months. US law-makers, academics and tech experts are pressuring Facebook, Twitter and Google to prevent such digital propaganda and disinformation campaigns, and rightly so. But there are two significant issues. Firstly, from a technical standpoint, it is difficult to stop these “botnets” – the large number of fake accounts run by specific software which swamp user newsfeeds and timelines with fake news or deceptive posts. These networks want to give access to those living under repressive governments who censor the internet. 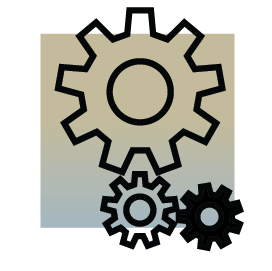 So they enable techniques which circumvent national surveillance systems, such as proxy, VPN and others. This makes life very easy for botnet creators, who are developing sophisticated software to imitate real users. For example, in order to bypass the phone verification typically required by social media platforms, botnet owners use virtual phone numbers and private IP proxies. 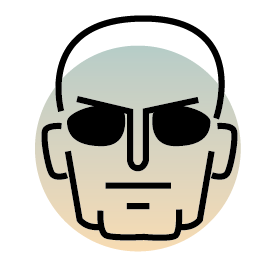 Also, thanks to the work of some tech experts who reverse-engineer apps to find out how their deepest processes work, these ‘smart’ bots are quickly able to evade any security system. Such operations are cheap to run and available to any organisation or government. Particularly on Facebook, these propaganda or disinformation campaigns run on pages either professing support for a social cause or simply offering generic entertainment news. How are users to decipher a genuine page from a fake one? Does this power lie only with Facebook engineers? A potential answer may be the appearance of the post, such as its format and featured links. By applying data analysis and open-source intelligence, experts could have understood in advance what was actually happening. Facebook could simply have used common sense when accepting Russian rubles for sponsored, politically motivated posts. On a technical level, the digital propaganda strategies in question mostly rely on botnets and exploiting online communities, using paid content and sharing to disseminate material. In response, social media companies are planning new measures to better manage paid content on their platforms. An upcoming bipartisan bill is focused on tightening rules for political advertising. However, as respected tech journalists such as Anthony de Rosa have noted, the real problem is that people continue to share links, posts and spam on Facebook pages with a high number of followers. This is a problem which independent research projects could help with, if the internet giants were only willing to share their internal data. In recent years, it is independent researchers who have shed light on previously unknown issues affecting social media users, such as software bugs, counterfeit item trafficking, phishing campaigns and malware dissemination. More generally, we are also facing a cultural problem. Broadsheet newspapers, research papers, government inquiries, Congressional hearings, and tech companies have all underscored the dangers of digital propaganda in recent weeks. But some public sources still tend to minimise or dismiss this phenomenon. Nobody could seriously “believe that a post on FB could ever swing an election”, suggested a well-known commentator at the Italian newspaper Corriere della Sera on Twitter recently. Such glib comments miss the point. Digital propaganda strategies take aim at real issues, such as immigration, economic crisis, terrorism and social inequality, in order to push millions of people surreptitiously towards a particular political agenda or viewpoint. The revelations from the US 2016 election pertain to other countries. Italy, for example, has its own general election coming up. It has 30 million Facebook users, and 35% of its adult population get their daily news from that platform (only 14% still rely on newspapers). Some organised networks have already launched their social media election strategy to influence voters, using propaganda and fake news campaigns. Media pundits are on high alert for what promises to be another challenging situation worthy of global attention. A 38-nation Pew Research Center survey conducted this spring found reasons for optimism as well as concern about the future of democracy around the world. In every nation polled, more than half said representative democracy is a very or somewhat good way to run their country. But the survey also found openness, to varying degrees, to some nondemocratic forms of government. Use our interactive feature below to compare views of political systems in each nation surveyed. It’s followed by six findings the Center found especially striking. Select a country to see how its people responded. % in the United States saying each of the following systems of government would be a good or bad way to govern the country. trust the national government to do what is right for the United States. are satisfied with the way democracy is working in the United States. A democratic system where representatives elected by citizens decide what becomes law. A democratic system where citizens, not elected officials, vote directly on major national issues to decide what becomes law. Experts, not elected officials, make decisions according to what they think is best for the country. A system in which a strong leader can make decisions without interference from parliament or the courts. The military rules the country. Note: For more information about specific question wording and results, see the topline questionnaire. 1About nine-in-ten Swedes (92%) say representative democracy is a good way of governing their country, the highest share of any country in the survey. A majority of Swedes (57%) also say direct democracy – in which citizens, not elected officials, vote directly on major issues – is a good way to govern. People in Sweden are among the most likely of any in the survey to say they are satisfied with the way democracy is working in their country: About eight-in-ten Swedes (79%) hold this view, the same share as in India and Tanzania. 2Germans are overwhelmingly opposed to rule by the military or by a strong leader. More than nine-in-ten are opposed to military rule (95%) or rule by a strong leader who can make decisions without interference from parliament or the courts (93%). 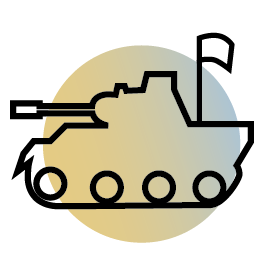 Even among those on the ideological right and those with less education – two groups who tend to voice more support for military or autocratic rule in other countries – there is little backing for these two forms of government in Germany. Just 13% of Germans on the ideological right say a political system with an unchecked leader is a good way to govern, and just 4% of those with less education see military rule as a good form of government. 3People in Vietnam are the most likely to support military rule among the countries surveyed. 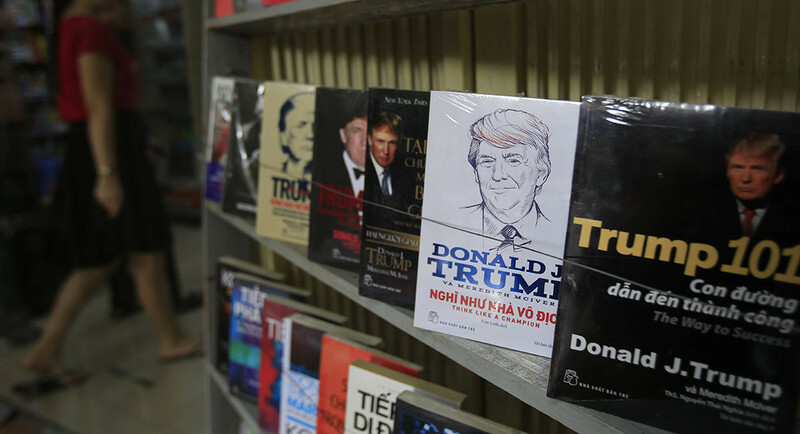 Seven-in-ten Vietnamese say rule by the military would be a good way to govern. But a larger majority (87%) of Vietnamese people express support for representative democracy, while another big majority (73%) supports direct democracy and 67% back a system in which experts, not elected officials, make decisions according to what they think is best for the country. Of the five different forms of governance tested by the survey, only one – rule by a strong leader without judicial or parliamentary interference – draws more opposition (47%) than support (42%) in Vietnam. 4Support for a strong leader who is unchecked by the judiciary or parliament is highest in India. While 55% of people in India view rule by a strong leader as a good way to govern, this form of governance remains less popular than direct democracy (viewed favorably by 76% of respondents), representative democracy (75%) and rule by experts (65%). 5Just 6% of people in Mexico are satisfied with the way democracy is working in their country, the smallest share of any country surveyed. That compares with a median of 46% among all countries surveyed. Roughly nine-in-ten Mexicans (93%) say they are not satisfied with the way their democracy is working. 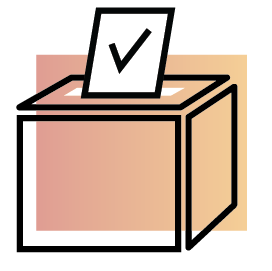 Despite their pessimism about democracy in practice, majorities of Mexicans still view direct democracy and representative democracy as good ways to govern (62% and 58%, respectively). About half (53%) say the same about rule by experts, while most Mexicans (67%) have a negative view of rule by a strong leader. 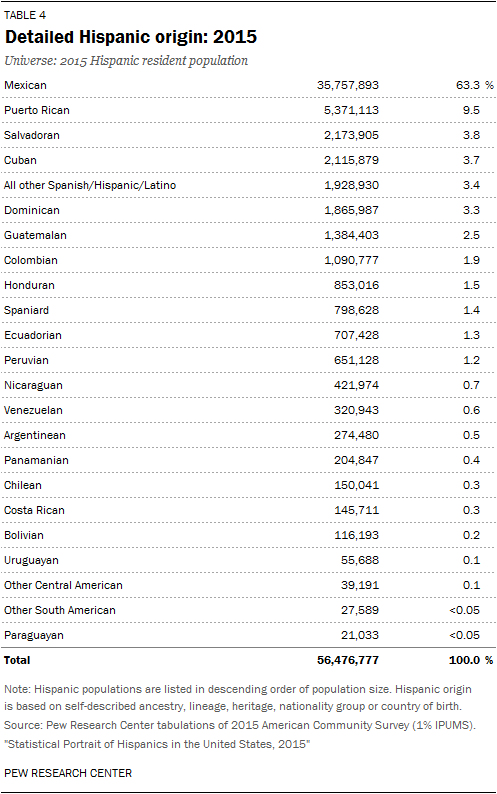 When it comes to military rule, more Mexicans oppose than support the idea (52% versus 42%). 6Trust in the national government is highest in Tanzania. About nine-in-ten people in Tanzania (89%) trust their government to do what is right for their country, including 48% who say they have “a lot” of trust. Globally, a median of just 14% express “a lot” of trust in their national government to do what is right. And in 10 countries – Chile, Spain, Peru, France, Brazil, Lebanon, Mexico, South Korea, Greece and Italy – 5% or less of respondents express this level of confidence in their national government. 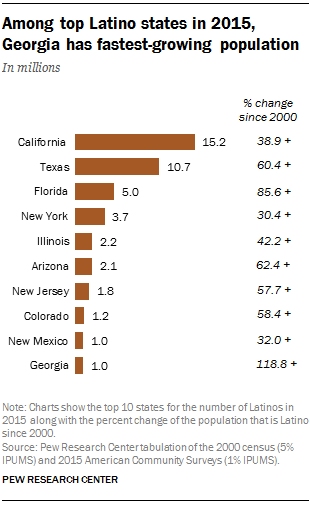 Source: Pew Research Center tabulations of the 2015 American Community Survey (1% IPUMS). Despite persistently low levels of public satisfaction with the state of the nation, most Americans say they have achieved the “American dream” or are on their way to achieving it. Only about one-in-five (17%) say the American dream is “out of reach” for their family. The American dream means different things to different people, however. Far fewer Americans say “becoming wealthy” is essential to the American dream than say the same about personal freedom and a good family life. 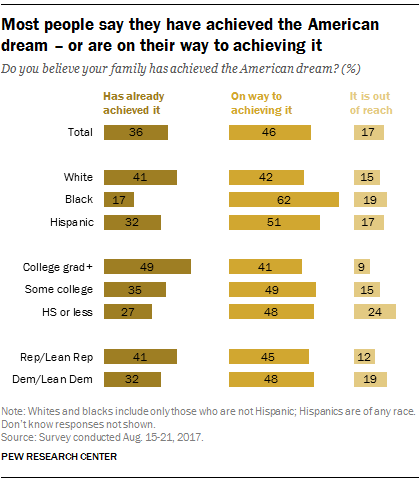 Overall, 36% of U.S. adults say their family has achieved the American dream, while another 46% say they are “on their way” to achieving it, according to an August survey by Pew Research Center. (The survey asked people about the “American dream,” as they define it.) 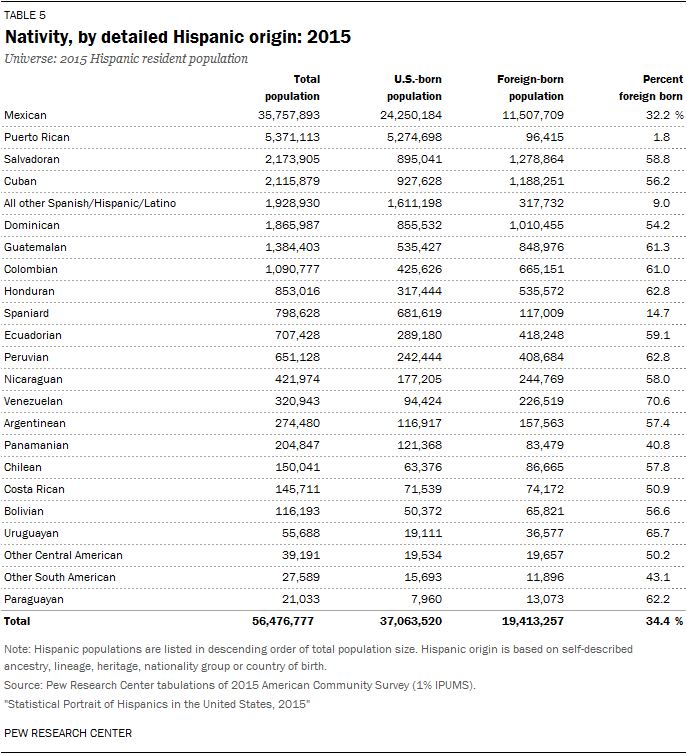 People who say they have already achieved the American dream are generally older, more affluent and better-educated than those who say they are on their way to achieving the American dream and those who say it’s out of reach. 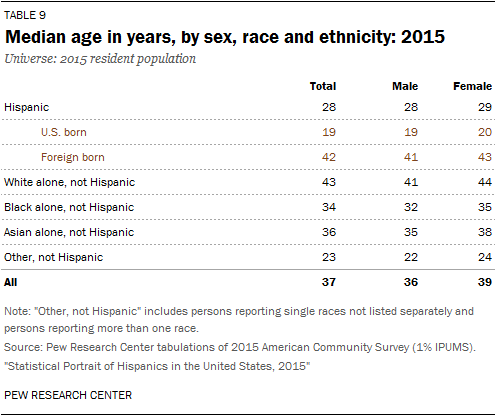 Whites (41%) are more likely than blacks (17%) or Hispanics (32%) to say they have achieved the American dream. 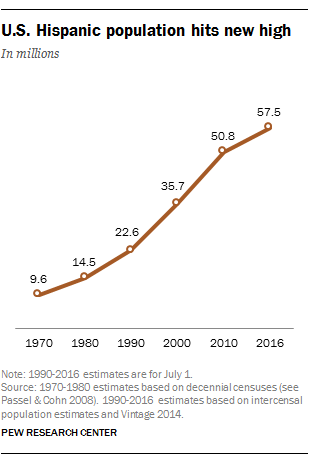 But more blacks (62%) and Hispanics (51%) than whites (42%) say they are on their way to achieving it. 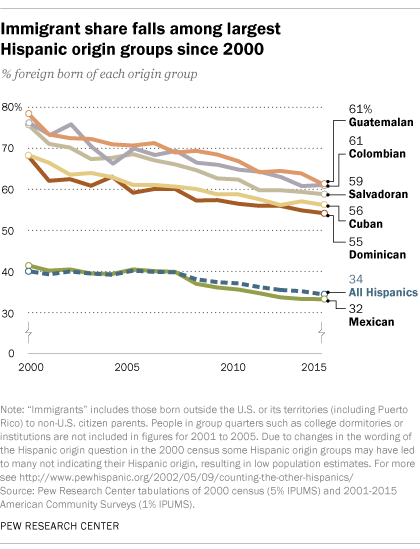 Notably, there are no significant racial or ethnic differences in the shares who say the American dream is out of reach for their families. The partisan differences in impressions of whether people have reached the American dream are relatively modest: 41% of Republicans and Republican-leaning independents say they have achieved it, compared with 32% of Democrats and Democratic leaners. While people differ on the meaning of the American dream, very few – just 11% of the public – say “being wealthy” is essential to their own view of it. By contrast, majorities say “freedom of choice in how to live” (77%), having a good family life (70%) and retiring comfortably (60%) are essential to their view of the American dream. Smaller shares say making valuable community contributions (48%), owning a home (43%) and having a successful career (also 43%) are essential to their view of the American dream, but relatively few (no more than 9%) say these are not important to the American dream. 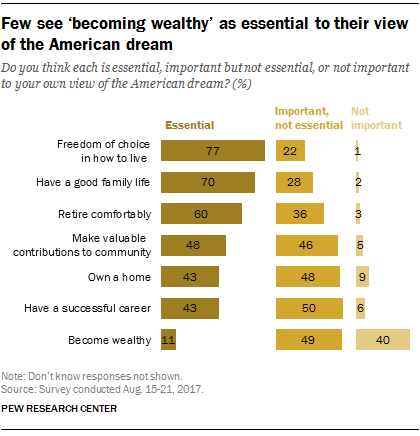 However, 40% say being wealthy is not important in their vision of the American dream, by far the highest share among the seven items asked about. There are modest educational differences in attitudes about what is essential to the American dream. For example, 87% of those with at least a four-year college degree say freedom of choice in how to live is essential, as do 82% of those with some college experience. By comparison, a smaller majority (65%) of those with no more than a high school diploma say this. And while 15% of those with a high school education or less say becoming wealthy is essential to the American dream, fewer of those with college experience say the same (8% of college graduates and 9% of those with some college experience). Partisanship is not a major factor in these views. Across all items, there are modest or no partisan differences in views of what is essential to the American dream. What’s Next for Robert Mercer, Steve Bannon’s Moneyman? Far from abandoning the Republican insurgency and stepping away from politics, the GOP megadonor is freeing himself to be more involved. It was a rare public statement from the famously reticent, 71-year-old computer scientist, one that left Washington and Wall Street buzzing over whether the man who essentially bankrolled the nationalist insurgency that put Donald Trump in the White House was having second thoughts. Among Mercer’s adversaries, his words were read as a rebuke of Bannon and a break from his nationalist politics. “I think this is a perfect testimony to the toxicity of Steve Bannon and what he’s trying to do to the Republican Party,” says Josh Holmes, former chief of staff to Senate Majority Leader Mitch McConnell, whom Bannon has vowed to dethrone by backing outside challengers in Republican primaries next year. An activist group that had been pressuring universities and retirement funds to pull their money from Renaissance to protest Mercer’s political spending also saw the statement as vindication. “It seems like our work is done” pressuring Renaissance investors over Mercer’s role, says a representative of Sleeping Giants, a group of anonymous activists that, since forming after last year’s election, says it has persuaded thousands of companies to stop advertising on Breitbart, arguing the site promotes racism. A rift with Mercer would certainly complicate Bannon’s latest assault on the GOP establishment. Mercer has been Bannon’s main patron since they first met in 2011. But a split may not be what’s happening. Viewed in a broader context, Mercer’s announcement suggests that, far from abandoning the Republican insurgency and stepping away from politics, he’s freeing himself to be more involved. Two sources familiar with his thinking say his decision to reduce his role at Renaissance is part of a plan to participate more aggressively in Republican Party politics ahead of the pivotal midterm elections. Mercer did not respond to requests for comment. More than anything, Mercer’s statement is a confirmation of his outsize influence in conservative politics—and the trouble that created for him inside Renaissance. Although the recent campaign to pressure investors to pull money from Renaissance likely hadn’t caused it serious financial harm, it did promise to keep the notoriously secretive trading firm in the spotlight. In recent months, Jim Simons, Renaissance’s 79-year-old founder and a major donor to Democratic causes, urged Mercer to step down, according to two people familiar with the matter. Simons wasn’t as concerned about the financial impact of Mercer’s activities as he was about their effect on the firm’s morale and recruiting efforts. “I appreciated Bob’s willingness to take this step,” Simons said on Nov. 6 while attending a fundraiser for the New York Public Library. Trump’s election established Mercer and his middle daughter, Rebekah, as the preeminent patrons of the party’s anti-establishment wing. They’ve channeled family money into a series of interlocking causes overseen by Bannon. In addition to Breitbart, there’s the Government Accountability Institute, a research group established in 2012 whose president, Peter Schweizer, wrote the best-selling 2015 book Clinton Cash, which tarnished Hillary Clinton ahead of the 2016 presidential election. There’s also Cambridge Analytica, a data and analytics firm used by the Trump campaign, and Glittering Steel LLC, the production company run by Rebekah and Bannon that makes movies and political ads. The Mercers even helped install Bannon atop the Trump campaign during its final stretch. In December, surrounded by hundreds of guests at Mercer’s mansion overlooking Long Island Sound, the president-elect thanked the father-daughter duo in person. For Renaissance, the notoriety has been unprecedented and unwelcome. In February, one Renaissance partner, David Magerman, went public with his criticism of Mercer. “His views show contempt for the social safety net that he doesn’t need, but many Americans do,” Magerman told the Wall Street Journal. He later filed a lawsuit alleging that Mercer had made “racist comments.” Renaissance is contesting the suit, and Mercer in his Nov. 2 statement vehemently denied any racial prejudice. By stepping down as co-CEO and leaving the firm’s board, Mercer takes the heat off his colleagues, even though he plans to continue working alongside them as a researcher. Selling his Breitbart stake may blunt attacks, too, though the holding will stay in the family—he’s selling it to his three daughters, formalizing an existing arrangement. Rebekah has always taken the lead in dealing with Breitbart. Also, the Mercers have never marched in lockstep with Bannon. Under Bannon’s direction, Breitbart News championed Trump last year, while Mercer bought some $13 million worth of ads for Texas Senator Ted Cruz, switching to Trump only after he’d won the GOP nomination. This year, Mercer contributed the maximum amount to House Speaker Paul Ryan, a frequent target of Breitbart’s venom. And Mercer and his wife have poured more than $1.6 million into Republican Party accounts. Mercer apparently sat out the Republican Senate primary in Alabama this year, where Bannon’s candidate, Roy Moore, defeated a challenger heavily funded by the party establishment. But in other states, Mercer has backed Bannon’s slate of candidates hostile to McConnell. In Arizona, he gave $300,000 to a PAC supporting Kelli Ward, a hard-right former state senator who was mounting an attack on incumbent Senator Jeff Flake. Rather than face Ward, Flake announced plans to retire at the end of his term. In Mississippi, Mercer put $50,000 behind Chris McDaniel, who calls Senator Roger Wicker one of McConnell’s “merry band of yes men” and is considering challenging him next year. 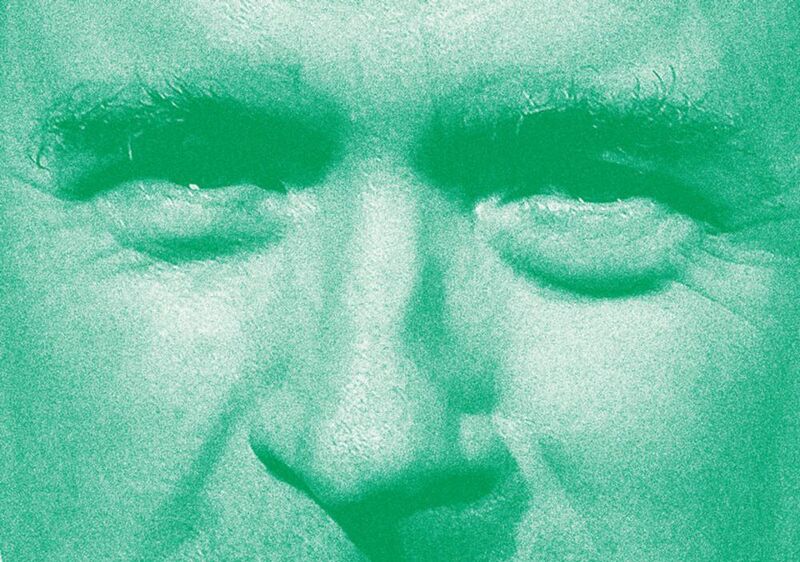 BOTTOM LINE - As publicity-shy Republican megadonor Robert Mercer relinquishes his management role at Renaissance Technologies, questions arise about his political agenda. Twitter released a statement Thursday evening saying an employee had "inadvertently deactivated" President Trump's personal twitter account. The removal of Trump's account caused an immediate reaction among Twitter users, until the account reappeared minutes later. 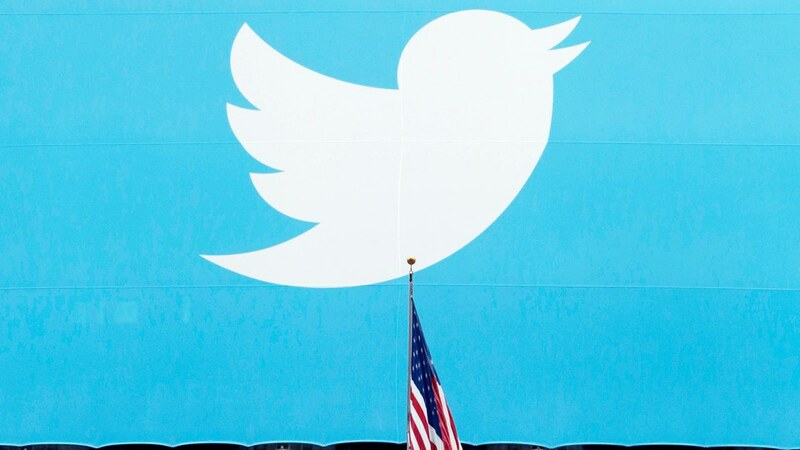 Update: Twitter said its preliminary investigation shows Trump's account was deactivated by a customer support representative on their last day of work at Twitter. In an era when Americans’ choices about whom to turn to and trust for news are often divided along political lines, a new Pew Research Center study of media coverage of the early days of the Trump administration finds those preferences can be significant. News outlets whose audience leans to the left politically, those whose audience leans to the right and those appealing to a more mixed audience covered a similar news agenda and mostly framed their coverage around character and leadership rather than policy. But the types of sources included in the stories and the assessments of the administration’s words and actions often differed, according to this study of more than 3,000 news stories during the first 100 days of the Trump presidency across 24 media outlets with content from television, radio and the web. 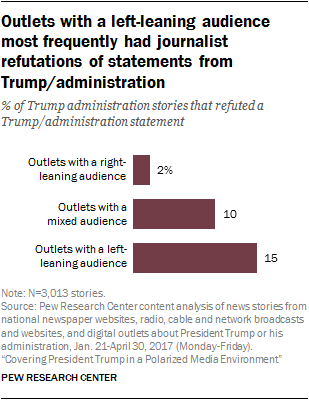 Specifically, outlets with a right-leaning audience cited fewer types of sources in their reporting, offered more positive and fewer negative evaluations of President Donald Trump and his administration, and had reporters who were less likely to challenge something the president said than outlets whose audience leans to the left or those with a more evenly distributed audience. 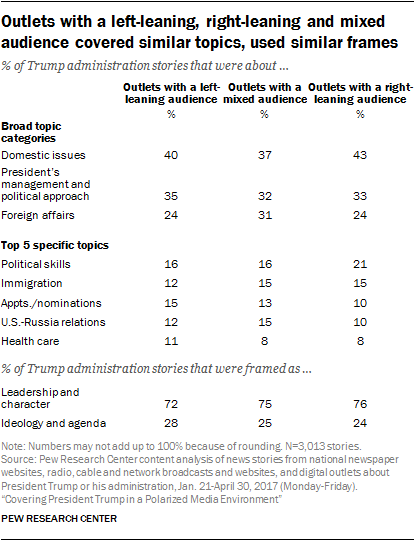 Seven-in-ten stories from outlets with a left-leaning audience and 62% from those with a more mixed audience included at least two of nine types of sources evaluated, such as a member of the administration, a member of Congress, or an outside expert. That was true, however, of less than half the stories (44%) from outlets with a right-leaning audience. 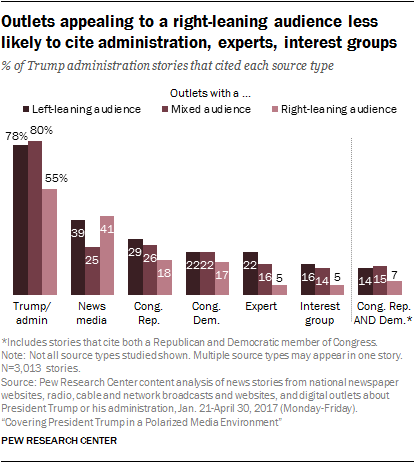 In particular, outlets whose audience leans right of center were less likely to include Trump and his administration, outside experts or interest groups as sources. They were also about half as likely to include voices from both Democratic and Republican members of Congress (7% of stories vs. 14% for outlets with a left-leaning audience and 15% for outlets with a more mixed audience). Within a news story, the statements from the sources cited – and what reporters choose to quote from them – as well as the reporter’s own language formulate the overall assessment of the Trump administration. During the time period studied, stories from outlets with a right-leaning audience were at least five times more likely to carry an overall positive evaluation of Trump’s words or actions (defined as stories that contained at least twice as many positive statements as negative ones) than stories from outlets with a left-of-center or more mixed audience (31% vs. 5% and 6%, respectively). They were also at least three times less likely to carry negative assessments (14% vs. 56% and 47%, respectively). 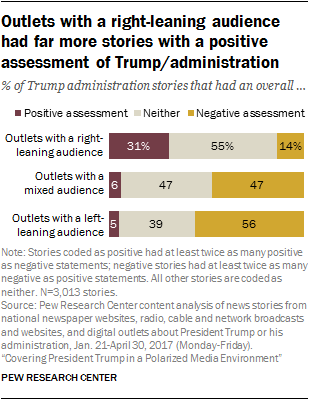 Still, most stories from outlets with a right-leaning audience (55%) carried neither a positive nor negative assessment of the president. eaning ones (2%), while outlets with a more mixed audience fell in the middle (10%). Researchers selected outlets for inclusion in the study based on audience reach. For all online outlets, researchers selected sites with at least 20 million average unique monthly visitors during November and December of 2016 and at least 15 million from the first quarter of 2017, according to comScore data. From that list, researchers excluded sites that did not largely focus on political or general news. For newspaper websites, five top tier newspapers – based on total circulation according to the Alliance for Audited Media – that offer daily coverage of national affairs and met the same website traffic thresholds were included. For cable, four evening programs from each of the three networks (CNN, Fox News and MSNBC) were selected. Broadcast television includes the nightly news from all three networks plus PBS. Within radio, researchers selected the top two talk radio shows by ratings, according to Talkers.com, as well as the morning and afternoon news programs from NPR. Websites for TV and radio outlets were also included if they met the same threshold as digital-native outlets. The volume of content sampled for each outlet was based on factors such as audience reach and the amount of news content produced on a daily basis. To be included in the sample, stories needed to be at least 50% about the president and his administration and more than 100 words or at least 30 seconds long. Digital stories were selected based on their prominence and position on the home page. For television and radio, every third qualifying story during the first half hour of a program was studied. Specified editorial or opinion sections or segments were not included, but individual opinion stories not set apart in a designated opinion section were included. Each news outlet was placed in one of three groups based on the profile of its audience: outlets whose audience leans to the left politically, outlets whose audience leans to the right politically, and outlets appealing to a more mixed audience. The audience data came from one of two recent Pew Research Center surveys in which U.S. adults were asked if they regularly got news about the election or politics from each outlet. An outlet was classified as left-leaning if its audience included at least two-thirds more liberal Democrats than conservative Republicans. Conversely, if the audience had two-thirds more conservative Republicans than liberal Democrats, the outlet was categorized as right-leaning. 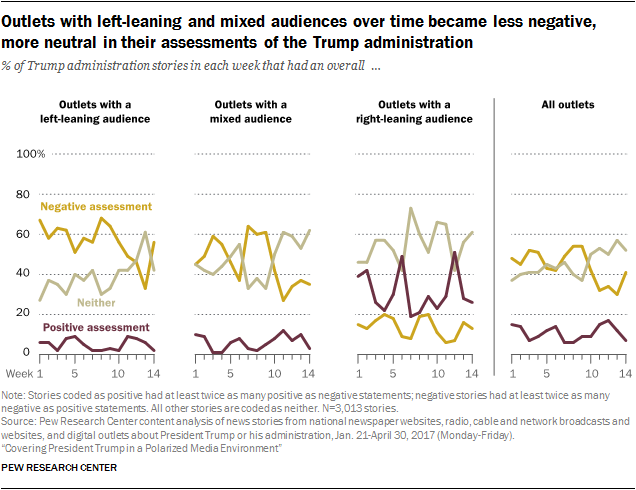 If neither liberal Democrats nor conservative Republicans made up at least two-thirds more of the audience than the other, the outlet was included in the mixed-audience group. This resulted in 12 outlets with a left-leaning audience, five with a right-leaning audience and seven with a more mixed audience. Details on the inclusion process, content sampled and the full list of outlets can be found in the methodology. Looking at the total coverage across all 24 outlets, five topics accounted for two-thirds of the coverage during this time period (Jan. 21-April 30): stories about the president’s political skills (17%), immigration (14%), presidential appointments and nominations (13%), U.S.-Russia relations (13%), and health care (9%). None of the remaining 39 topics accounted for more than 4% of stories. Stories of the president’s political skills spanned a wide range of issues and events, such as the delivery of his first speech to a joint session of Congress and his management of White House staff. The president’s executive order limiting the entry of travelers from certain countries and the legal challenges to it constituted a large portion of stories about immigration. Allegations about Russia and the 2016 election tied to Trump and his administration, as well as the White House’s relationship with Moscow, dominated stories on U.S.-Russia relations. Appointments and nominations included stories about various cabinet members and Supreme Court Justice Neil Gorsuch. Health care coverage often addressed efforts by Trump and the Republicans to move health care legislation through Congress. A more detailed look at coverage of these most prominent topics occurs below. When reporting on any event, a reporter can choose any number of ways to orient the storyline. This study classified stories into one of two main frames: the president’s leadership and character or his core ideology and policy agenda. Overall, journalists structured their narratives far more around President Trump’s leadership and character than his policy agenda (74% vs. 26%, respectively). 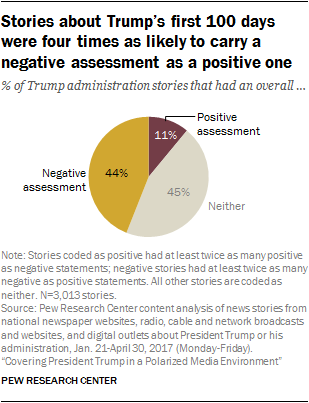 What’s more, only about one-in-ten stories (11%) delivered an overall positive assessment of the administration’s words or actions. Four times as many (44%) offered a negative assessment, while the remaining 45% were neither positive nor negative. The study also found that, overall, Trump and his administration played a large role in the stories that ended up getting reported on each day. Nearly half the time (45% of all stories) the reporter produced the piece in response to something the president or his staff said or did. The news media itself spurred 19% of stories, either through self-initiated investigative reporting or through an action or statement by a member of the news media. When choosing who to include as voices in a story, journalists cited the president or a member of his administration more frequently than any other source type. Nearly three-quarters (74%) of all stories included at least one source from the administration. The next most common type of source, though occurring about half as frequently, was another news organization or journalist (35%), followed by Republican and Democratic members of Congress (26% and 21%, respectively). Sources outside of government and media were less common, with experts cited in 16% of stories, interest groups in 13% and citizens in just 5%. Overall, a majority of coverage (62%) included at least two of the nine types of sources studied, but just 29% included three or more. Another nuance in the findings highlights the relationship between the number of different source types included in a story and the assessment of the administration. Overall, stories with two or more source types were more likely than stories with fewer source types to have an overall negative assessment – about half (51%) of stories with two or more source types, compared with about a third (34%) of those that had zero or one source type. In other words, stories with a greater mix of voices were more likely to have an overall negative sense of the president’s actions or statements. Finally, amid America’s experience with a president who regularly uses Twitter as a way of communicating directly with the public, roughly one-in-six stories (16%) contained a direct tweet from President Trump. The Center has also conducted similar analyses for the early months of the three prior administrations: those of Barack Obama, George W. Bush and Bill Clinton. But for each succeeding president, the media universe has expanded dramatically. While today, for example, about nine-in-ten U.S. adults (89%) get at least some news online, just 14% of Americans even reported using the internet in 1995 during Clinton’s first term. 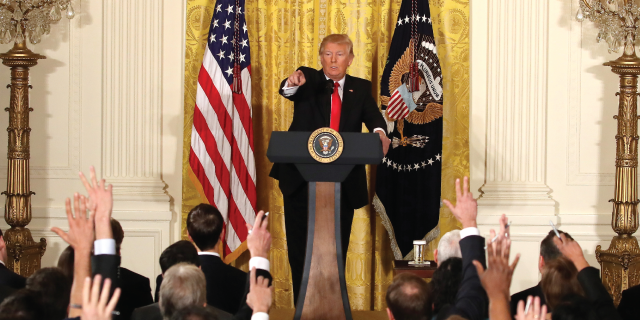 Thus, in addition to the examination of how the broad news media landscape covered and assessed the first 100 days of the Trump administration, the study also looked for historical comparisons of coverage of the first 60 days across a smaller universe of outlets that existed during all four time points, representing a mix of print publications and network evening news. Compared with the three prior presidencies, coverage of Trump’s early days in office moved further away from a focus on the policy agenda (31% of stories, compared with 50% for Obama, 65% for Bush and 58% for Clinton) and toward character and leadership. And the evaluations of President Trump were far more negative and less positive than those of his predecessors. Trigger: This measure identifies the actor responsible for the action, event or editorial decision that initiated a story’s production. For instance, a story about health care may have been triggered by a speech by the president or a new bill written by a Republican member of Congress. In the first case, the trigger would be the Trump administration, while in the second it would be congressional Republicans. There were 12 different types of triggers identified in this study. 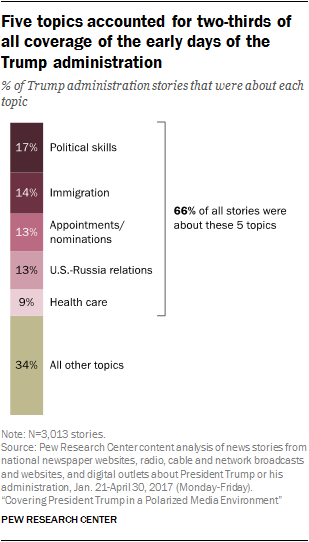 Topic: News stories were first coded as being about one of 44 specific topics or storylines (the most prominent topic within each story was coded as the story’s overall topic), which then were grouped into three broad topic categories: 1) Domestic issues 2) foreign affairs and 3) the president’s management and political approach. Frame: When reporting a story about a specific topic, there are various frames that journalists can use to orient the narrative. This study classified stories into one of two main frames (whichever accounted for more than 50% of the story): 1) the president’s leadership and character or 2) his core ideology and policy agenda. 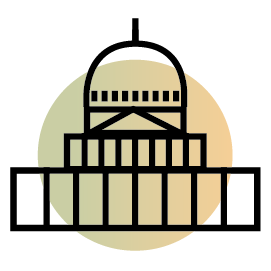 For example, an article or segment about health care could be framed around the legislative differences in what the administration is proposing versus members of Congress (thus coded as core ideology and policy agenda). Or, such a story could be framed around the evaluation of the president in terms of his outreach to and relationship with members of Congress, which would then be coded as leadership and character. 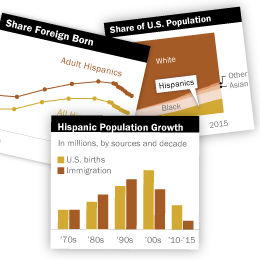 Source types: The study also measured nine different types of sources that might be cited in a story: 1) Trump or a member of the administration, 2) the Trump organization or a family member (not in the administration), 3) a congressional Democrat, 4) a congressional Republican, 5) an issue-based group or interest group, 6) an expert, 7) a poll, 8) a journalist (other than the reporter or anchor of the story) or news organization, and 9) a citizen. This measure identifies the presence of a type of source in any given article, not the total number of individual sources. There could be more than one source within any source category, such as quotes from two members of the administration. There may also have been sources used outside the types listed above that were not captured in this study. Assessment of the Trump administration: In this analysis, each statement in a story (made by a source or the reporter him or herself) was analyzed to determine how, if at all, it assessed President Trump and his administration’s actions or words. Within a story, there needed to be at least twice as many positive as negative statements for a story to be considered positive and vice versa to be considered negative. If this threshold was not met, stories were coded as neither positive nor negative. Refutations: The news media can play a fact checking role in its coverage of politics and, in the course of that fact checking, can sometimes indicate that a statement is inaccurate or a misrepresentation. Accordingly, this measure identifies any instance in which the journalist directly challenges a statement made by Trump or a member of his administration, by saying it is incorrect. Trump tweets: This measure identifies whether a story included a direct tweet from President Trump, either cited in text or repeated verbally. Americans’ news habits are diversifying, and where people turn for their political news often differs by their own political leanings. This study examines coverage of the Trump administration’s first 100 days and what impact differences in media choices can have on the news Americans may receive. The 24 news outlets studied here were organized into three groups based on their audiences’ political orientation: outlets with two-thirds more audience members who are right of center than left (according to Pew Research Center surveys), those with two-thirds more left of center than right, and outlets with a more evenly distributed audience base. In these surveys, respondents were asked whether they regularly got news about the 2016 election or about politics from each outlet. Overall, the study found that Americans tended to hear about a similar mix of topics from the news media, whether or not those outlets had a left-leaning audience or a right-leaning audience. Similarly, a good deal of the coverage across outlets was framed around the president’s leadership and character rather than policy. But there were also differences across outlets based on the ideological composition of their audiences. In particular, the balance of positive or negative assessments made about the administration’s words or actions varied, as did the voices that were featured in stories. It was primarily the outlets with a right-leaning audience that differed from those with a left-leaning and a more mixed audience, which were more similar to each other. It is important to note that there are differences in the coverage across the three platforms studied. For example, stories appearing on a digital platform were overall much more likely to name multiple source types than stories from both television and radio. Even so, there are large differences within platforms across the outlet groupings. For number of source types, three-quarters of digital stories from outlets with a left-leaning audience cited multiple sources, 17 percentage points higher than those from outlets with a right-leaning audience (58%). The same pattern holds for both television and radio. This suggests, then, that platform may be a small part of the story, but is not the full story. There are still decisions made within news organizations that impact the content audiences receive. During the first 100 days of the Trump administration, news outlets covered a very similar mix of topics and were united in framing their stories much more around leadership rather than policy debates. This was true across the three key groupings of news outlets based on the ideological leaning of their audience. 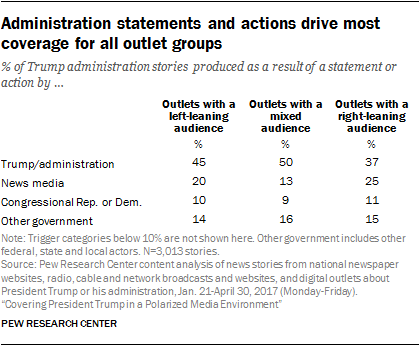 Outlets with a more left-leaning audience, those that lean more to the right and those with a more mixed audience were about as likely to focus the bulk of their coverage on the same five specific topics: the president’s political skills, immigration, appointments and nominations, U.S.-Russia relations and health care. And rolling up all 44 of the topics studied into three broad areas shows similar proportions of coverage around each: domestic issues, president’s management and political approach, and foreign affairs (though outlets with a more mixed audience put slightly greater emphasis on foreign affairs). Beyond the similar topic and frame of stories, however, other differences emerge. A majority of stories from outlets with a left-leaning and a more mixed audience included at least two of nine different types of sources assessed (70% and 62%, respectively). That was true, however, of less than half (44%) of stories from outlets appealing to a right-leaning audience. 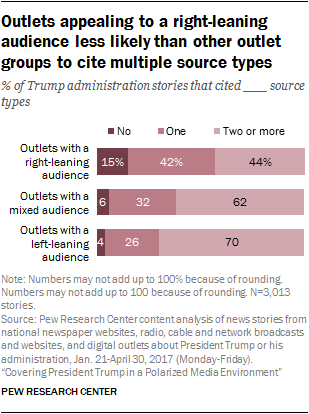 The specific types of sources cited less frequently by outlets with a right-leaning audience were members of the Trump administration, outside experts and interest or issue groups. Outlets with a right-leaning audience were roughly one-fourth as likely as outlets with a left-leaning audience to cite at least one outside expert in their stories (5% compared with 22%) and about one-third as likely to do so as outlets with a more mixed audience (16%). Similarly, statements from issue groups such as the Sierra Club, National Rifle Association or U.S. Travel Association appeared in just 5% of stories from outlets with a right-leaning audience, compared with 16% of those with a left-leaning and 14% of those with a more mixed audience. 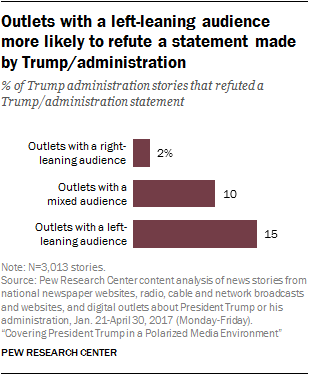 And while roughly eight-in-ten stories from outlets with a left-leaning (78%) or more mixed audiences (80%) cited Trump or another member of the administration, that was the case for closer to half (55%) of stories from outlets with a right-leaning audience. Additionally, coverage from outlets appealing to a right-leaning audience was half as likely as coverage from the other two groups to cite both a Democratic and Republican Congress member in the same story – 7%, versus 14% among outlets with left-leaning and 15% among outlets with a more mixed audience. One area where outlets with a more mixed audience differed from the others was in the use of journalists as sources. While members of the news media were cited in about four-in-ten stories from both outlets with a right- and left-leaning audience (41% and 39%, respectively), they appeared in just a quarter of stories from outlets with a more mixed audience. This is in sync with the lower tendency of this group to produce stories that stemmed from a journalist’s own statement, action or investigative reporting. The statements made by the sources in a story as well as the reporter him- or herself determine whether a story overall has a positive, negative, or neither positive nor negative evaluation of the subject matter of the story. During the first 100 days of the Trump presidency, the tenor of the assessments of the president and his administration’s words and actions differed markedly in outlets with a right-leaning audience compared with the other two groups. The tone of coverage from outlets with a left-leaning audience and those with a more mixed audience was far less positive and more negative toward the Trump administration than coverage from those with a right-leaning audience. In these first two groups – those with a left-leaning audience and those whose audience is more mixed – stories with an overall negative assessment outweighed those with a positive assessment by at least seven-to-one. More than half (56%) of stories from outlets with a left-of-center audience offered a negative evaluation of the president and his administration, compared with just 5% that offered a positive one. Among outlets with a more mixed audience, the balance was 47% negative to 6% positive. In contrast, among the outlets with a right-leaning audience, about twice as many stories carried a positive assessment of the president (31%) as a negative one (14%). Most (55%) were neither clearly positive nor negative. The tendency of outlets with a left-leaning or a more mixed audience to deliver a greater amount of negative coverage than those with a right-leaning audience extended across the five most prominent topic areas covered. In fact, in outlets appealing to a left-leaning audience and those with a more mixed audience, negative coverage exceeded positive or neutral coverage for four of the five main topic areas: the president’s political skills, immigration, U.S.-Russia relations and health care. The exception was coverage of presidential appointments and nominations, which contained equal portions of stories with neutral and negative assessments. Across all five topics, positive assessments made up no more than 8% of stories. 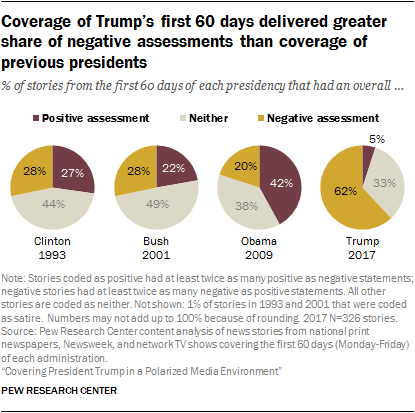 As time passed during these first 100 days, the overall assessments of the administration’s words or actions in stories from outlets with a left-leaning audience and those with a more mixed audience became less negative and more neutral, though no more positive; the tone of coverage from those with a right-leaning audience had no consistent pattern over time. Overall, the reporter or anchor directly refuted something President Trump or his administration said in one-in-ten stories studied. But this was about seven times as likely to occur in coverage from outlets appealing to a left-leaning audience (15%) than a right-leaning audience (2%). This occurred in stories from outlets with a more mixed audience 10% of the time. Looking more deeply into the outlet groups where this was more common (outlets with a left-leaning or more mixed audience), refutations were most likely to appear around the topic of the president’s political skills (27% and 25% of stories, respectively) than any of the other five prominent topics. 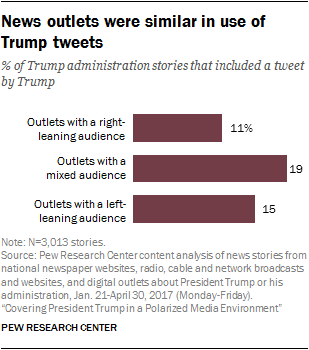 The three outlet groups were similar in the extent to which stories included direct tweets from the president, though those with a more mixed audience were somewhat more likely than those with a right-leaning audience to do so (19% vs. 11%), while those with a left-leaning audience fell in between. What sparked the production of a story in the first place differed in subtle ways across the three outlet groups. Stories produced by outlets with a right-leaning audience were less likely to stem from actions by Trump and the administration – though it was still the most common trigger (37% of stories versus 45% among outlets with a left-leaning audience and 50% among a more mixed audience). Stories from outlets with a more mixed audience, meanwhile, were less likely to be driven by the news media themselves – either by their own investigative work or by a statement or action by a member of the news media.